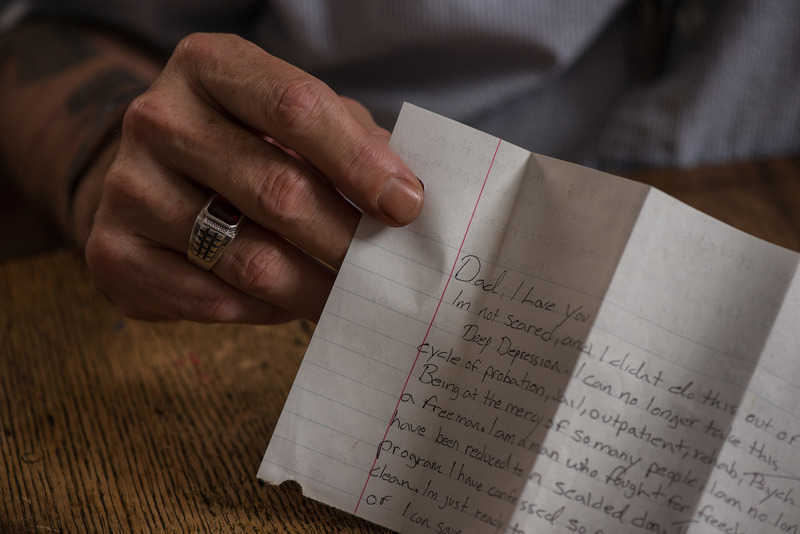 David Toombs holds the suicide note of his son and veteran John Toombs. John took his own life hours after being discharged from the VA, where he sought help for PTSD and trauma. In a video recorded shortly before his death, John said of the VA center, "When I asked for help, they opened up a Pandora's box inside of me and just kicked me out the door."